At least three countries were interested during the 1950s by the new oscillating turret concept: the USA, France and Austria. The Austrian Army was largely equipped with US-supplied tanks, such as the M47 Patton, but it fielded some British Charioteers as well. 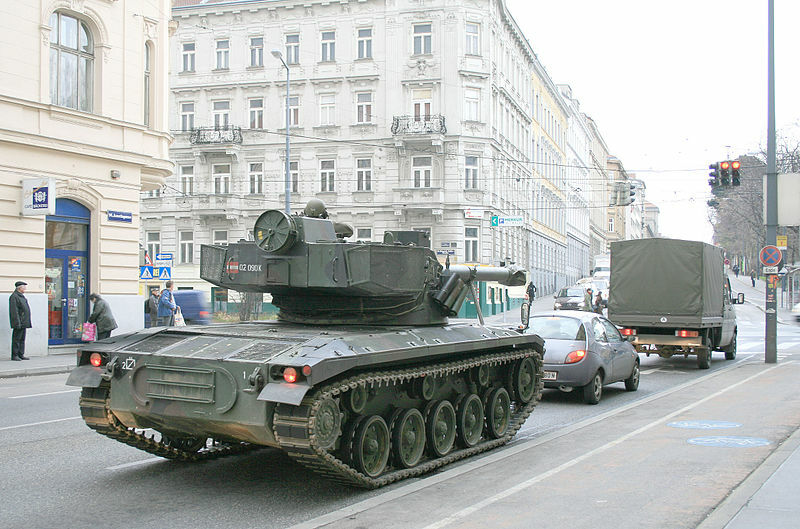 At this time, the Austrian Army was looking to develop a tank hunting vehicle. Österreichische Saurerwerke from Vienna was contacted. The company (now a part of Steyr-Daimler-Puch AG) had already produced the ADGZ armored car before the war and had just gained a contract to equip the motorized units with a new APC, the Saurer 4K 4FA, 445 of which were produced for the Army and many more exported. Naturally, the company adopted its existing chassis, but with some modifications. 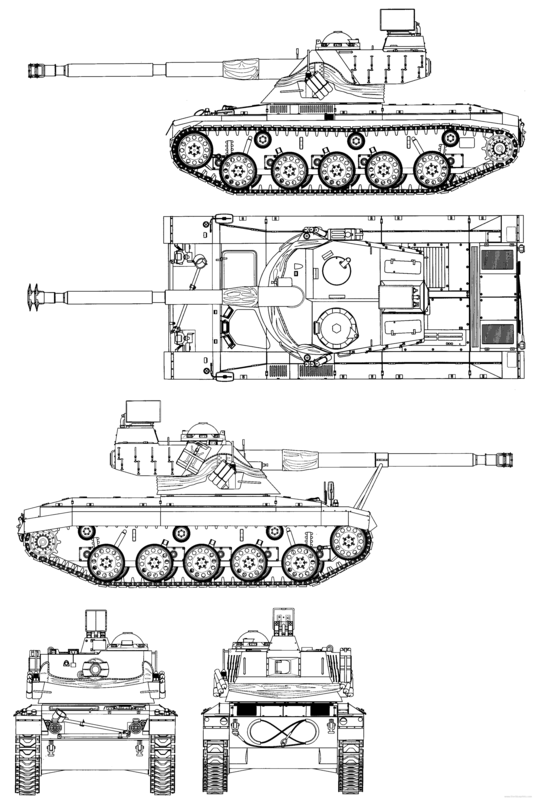 The question of which gun to mount was crucial, as it had to be powerful enough to fulfill its antitank role, but also had to be compatible with the relatively light chassis. 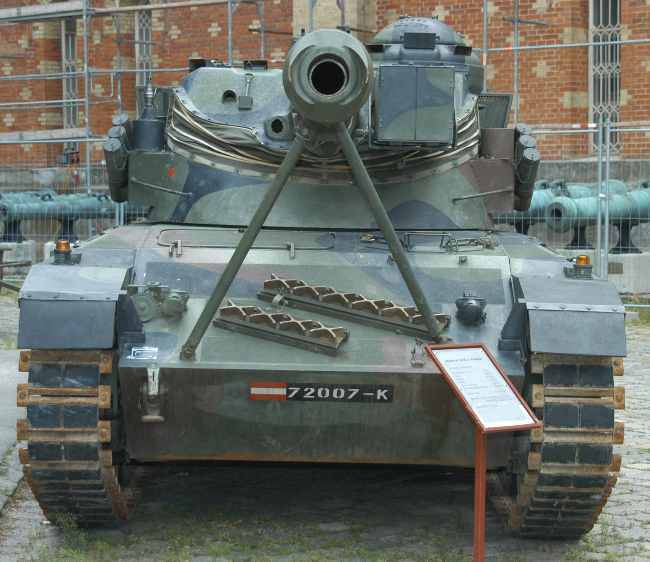 The Austrian engineers turned to nearby France, where the AMX-13 with an oscillating turret was already in production. The oscillating turret concept allowed larger caliber guns to be mounted in lightweight turrets. When the SK-105 was produced and put in service, it was the only other European tank featuring an oscillating turret. The hull of the SK-105 was made of welded steel RHA, with the driver’s compartment at the front, fighting compartment and turret in the center and the engine compartment in the rear. The protection was light. It could withstand armor-piercing rounds of up to 20 mm (0.79 in) caliber over its frontal arc, but the sides, rear and other parts were only protected against small arms fire. However, add-on armor was made available for the glacis as an option (including for export). 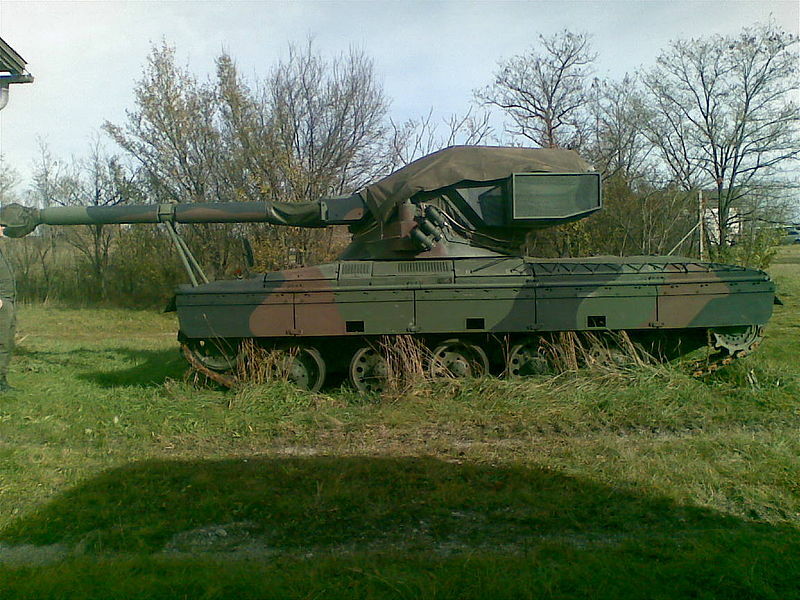 This provided protection against APDS rounds up to 35 mm in caliber. The driver sat in the front part of the vehicle, to the left. At his right were stored additional rounds for the main gun and the vehicle’s batteries. The driver could see through three periscopes (the central one could be swapped for a passive night vision sight) placed in his hatch. The engine compartment was fitted with an automatic fire extinguisher with manual backup. A cyclone filter system provided the air flow motion. The turret was closely based on the French design and was initially armed with a local 105 mm (4.13 in) G1 gun, which was able to penetrate 360 mm (1’2”) of armor. It was oscillating, meaning that the upper portion of the turret moved with the gun instead of the gun moving independently of the turret. The base of the turret was attached to the hull directly and did not elevate or depress. The commander sat in the turret, on the left, having a rotating cupola containing seven periscopic sights. The gunner sat on the right-hand side of the turret. The gunner was given two periscopes and a telescopic sight with a lifting and swiveling hatch cover. A CILAS TCV 29 laser rangefinder (with a range up to 10,000 m) was mounted on the turret’s front roof section, while a XSW-30-U 950 W infrared/white light searchlight was placed on the left of this section of the turret. The gun used a semi-automatic autoloader with a 6-round “barillet-type” magazine that eliminated the loader. In total, 42 rounds were stored, but the barillets needed to be reloaded from outside. The spent cartridge cases were ejected through a hinged trapdoor, while the combustion fumes were evacuated through a vent on the rear of the roof. The secondary armament comprised two 7.62 mm (0.3 in) LMGs, one coaxial and an optional one on the roof. Mobility-wise, the Kürassier counted on its lightweight hull and a Steyr 7FA/6-cylinder turbocharged diesel engine giving 320 hp (238 kW) for a power-to-weight ratio of 18 hp/ton. The hull sat on five road wheels mated on a torsion bar suspension. There was a greater gap between the first road wheel and the others, and two shock absorbers on the first and last suspension unit. The road wheels were smaller than on the French model, allowing a smoother ride and a lower profile. A raised sixth road wheel served as idler or track tensioner at the front, and the drive sprockets were at the rear. The battlefield performances included a top speed of 70 km/h (43 mph) on flat ground, the ability to climb a gradient of 75%, ability of running on a side slope of 40%, going over a vertical step of 0.8 m, trench crossing 2.4 m, fording 1 m, and an operational range of 500-550 kilometres (310 mi). An estimated 600-700 vehicles were produced by Saurer-Werk. This includes export vehicles. The Kürassier was specifically designed for mountainous terrain and, due to its better power to weight ratio and agility, was better suited to this type of terrain than most regular tanks. It could also be air transported by a C-130 Hercules. 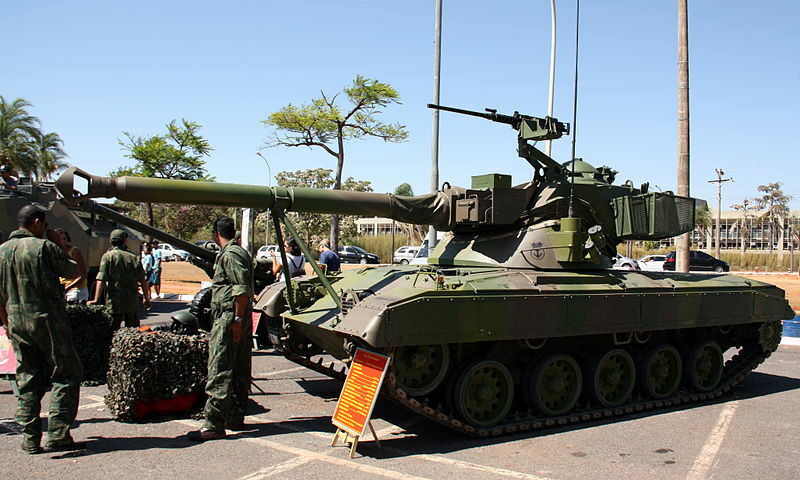 However, there were trade-offs in the design, mirroring the similar AMX-13: The turret design meant that no NBC protection system could be implemented to protect the crew. The rear basket was a recognized potential shot-trap. Also, after the barillets were spent, the reloading process was external (until the A2 version), thus exposing the crew to enemy fire. Also, the main gun was non-stabilized (until the A3 version), meaning the vehicle had to stop before firing accurately. SK-105A1: New AP rounds, improved autoloader and FCS. SK-105A2: New FCS and other minor improvements. Fully automated ammunition loading system process. SK-105A3: Fully-stabilized US M68 105 mm (L7 derived) rifled gun, add-on armor and improved protection. 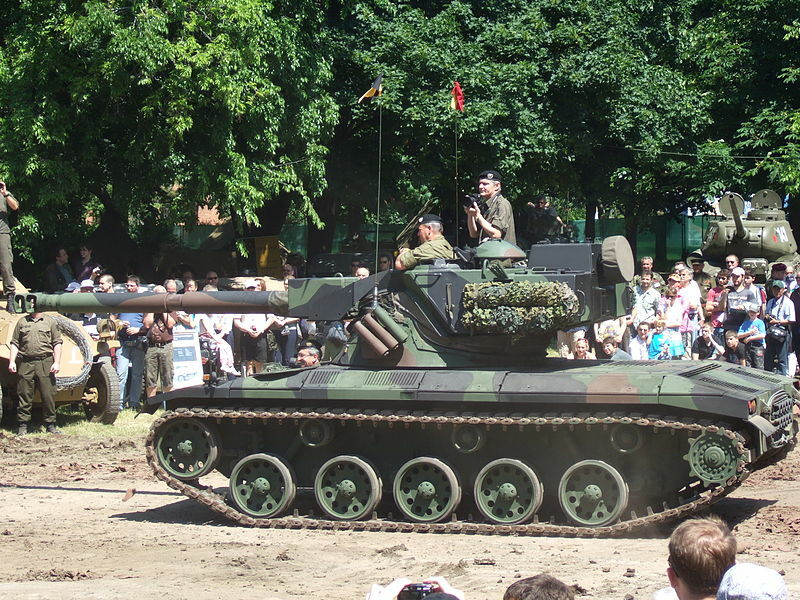 The Kürassier entered in servce in 1971 with the Austrian army (234 to 286 vehicles) and remained active until the 1990s. A large number of vehicles were exported, and most are still in service today. Argentina is the most prolific customer with 118 vehicles. These were modernized as the “Patagón”, keeping the same chassis, but with a modernized AMX-13 turret. The prototype was presented in November 2005. 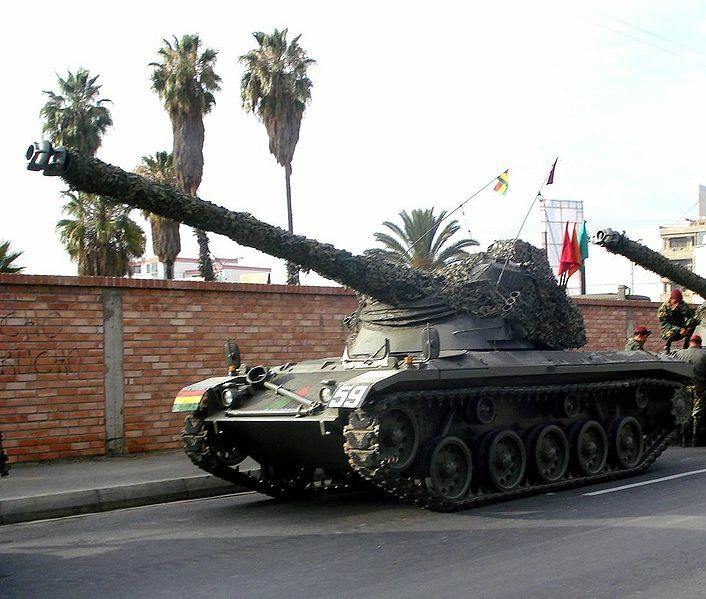 The Kürassier also saw service with Bolivia (54), Botswana (52), Brazil (17 for the Brazilian Marine Corps), Morocco (120), and Tunisia (55-80). From the “Kette und Rad” 2010 exhibition in Austria. Early type Austrian Kürassier during maneuvers. Austrian SK-105A2 in the 1980s. Argentinian SK-105A2 during peace keeping operations. Argentinian SK-105A2 during peace-keeping operation with KFOR, 1992. Austrian SK-105A3, with improved FCS and a fully stabilized L7 derived 105 mm gun. Tunisian Kürassier SK105A3 in the 1990s. There’s a link on here to the British Charioteers, which leada to a 404. Just wanting to let you know! There may be more links to the same page in the article, I’m not sure.